My Rollercoaster ride at BMCRI! BMCRI is the best thing that has happened to me. Everyone looked up to me with respect whenever I mention my college. They allready see a doctor in me. It is the greatest feeling possible. Hope i hain the best out of the opportunity on hand. Waiting to get into our new college building.!! An experience worth a life time. 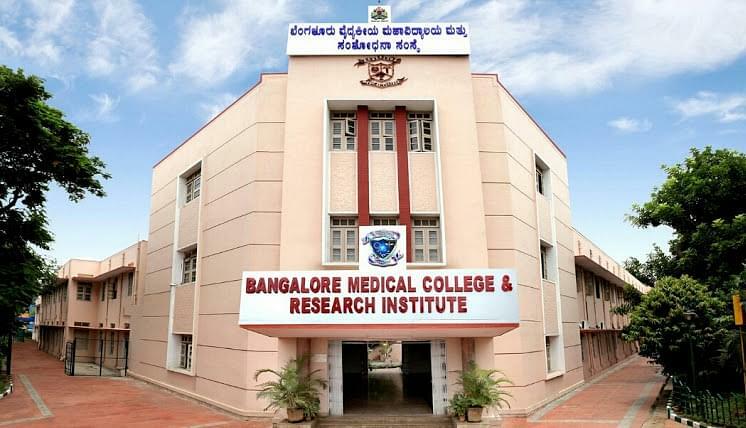 I stay with my words - it's the best medical college in Karnataka. Have learnt a lot and I won't forget that I owe my teachers and Friends everything that I'm today. In all i like my college even after many flaws . Though i feel sport facilities should be improved, library facilities needs to be re considered. The campus has shrunk in size considerably. Since 2yrs pending construction. Currently going through a transformation phase. Would be also better if there is more sports and cultural facilities, like a ground in campus or off. The extracurricular activities of the college includes organization of events of almost importance, students welfare activities and also various other activities like sport activities for the students. Hi Lavanya, kindly check the Fee Structure from here. Hi Preeti, You may please check this link for getting Fee Structure MBBS Course of BMCRI. Hi Dinesh, You may please contact to the college number to get the BPT course. What is the cutoff to get in bmc for 2018 for obc category? Hi Muskan, Please check this NEET Cuttoff Link 2018 , For getting an idea of the cut off list. For taking admission what's the process? And after giving neet can I contact directly to the college or will I have to go through counseling? Hi Neha, I am sharing a link with you for Admission procedure :- Admission Procedure , and For more information please contact to this no. 080-26700810. Hi Asha, The contact number of this college is 080-26700810. Is the NEET exam required for International students? I want to discuss about MBBS course for the year 2017 18 about following question 1. process of selection 2. what is the probable rank chance to get GOvt seat in bangalore 3. "An experience worth a life time." Karnataka CET Rank 929 Choose this college because it's the best medical college in Karnataka Admission was through Karnataka CET. Just had to take the allotment letter to college , submit the documents, post the fee and done with the admission process. Common entrance test karnataka. I secured rank 387 n opted mbbs cos to beome a eminent doctor and serve people in rural areas.